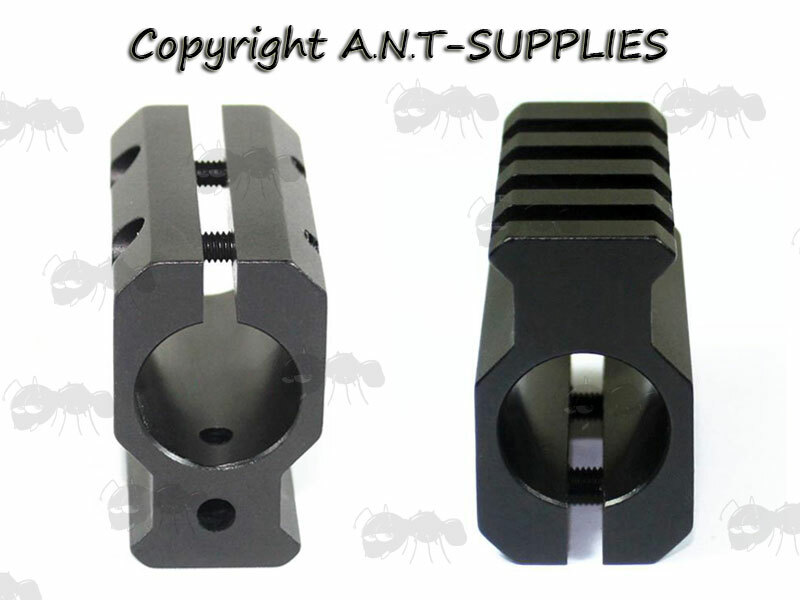 For AR-15 / M4 / M16 series rifles. Height ~ 38mm (1.5 inch). 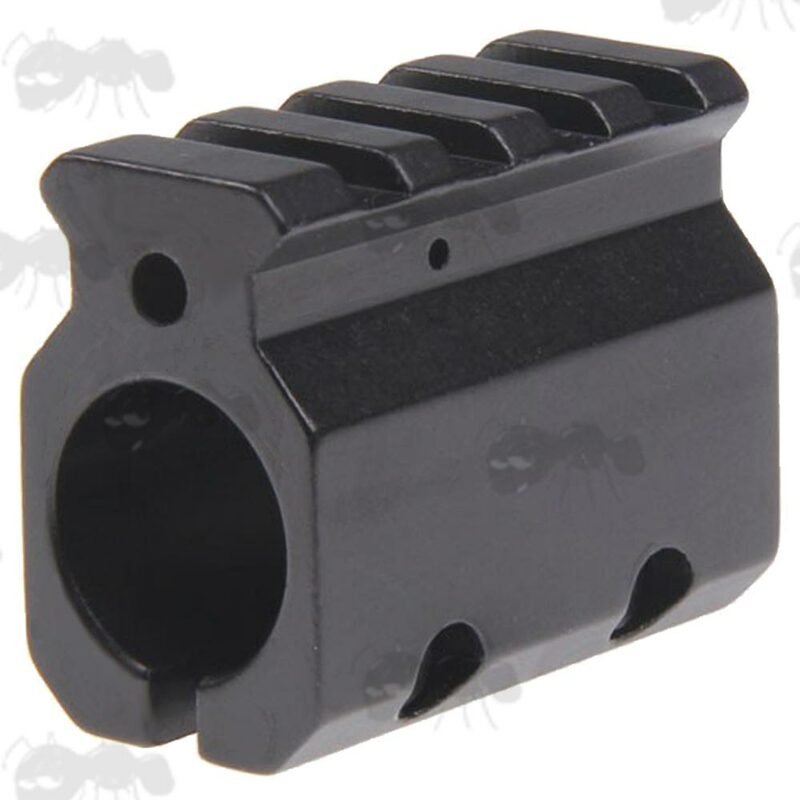 Four slot 48mm long top rail. Weight ~ 70g (2.8 ounce). Height ~ 45.5mm (1.8 inch). 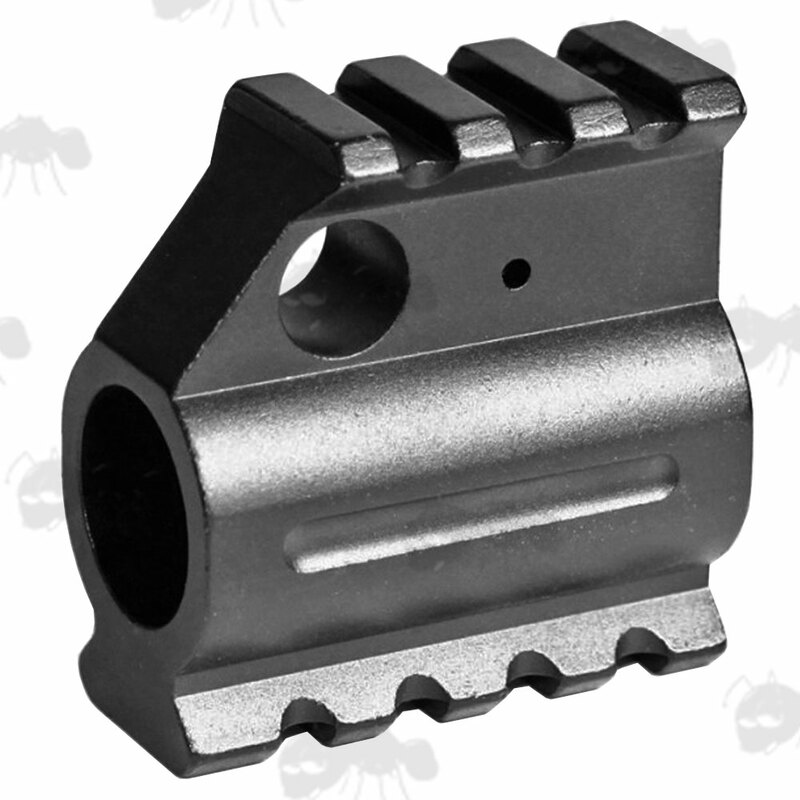 Three slot 35.5mm long top rail. 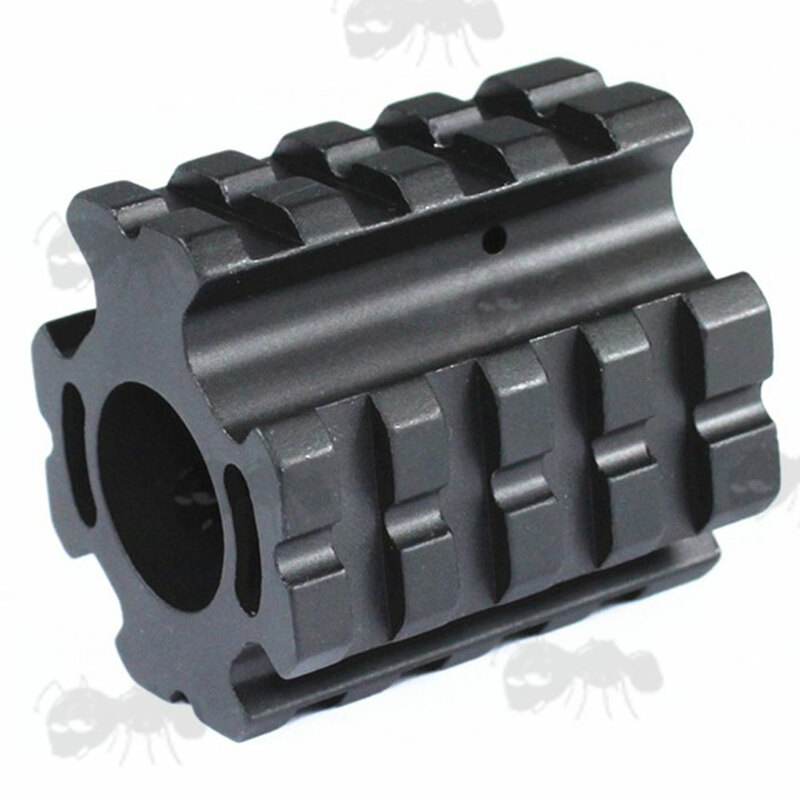 Four slot 48.5mm long base rail. Weight ~ 85g (3.6 ounce). Height ~ 51.5mm (2.0 inch). Weight ~ 75g (2.6 ounce). Height ~ 43mm (1.7 inch). Four slot 47.5mm long rails. Weight ~ 85g (3.0 ounce). 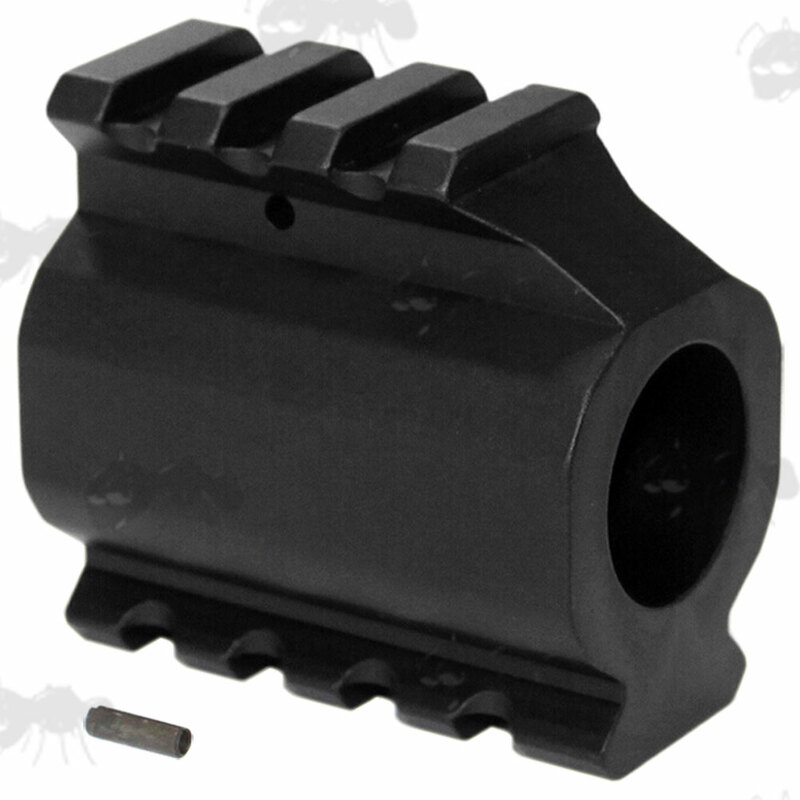 Hole diameter ~ 19mm (0.75 inch). Length ~ 47.5mm (1.87 inch). 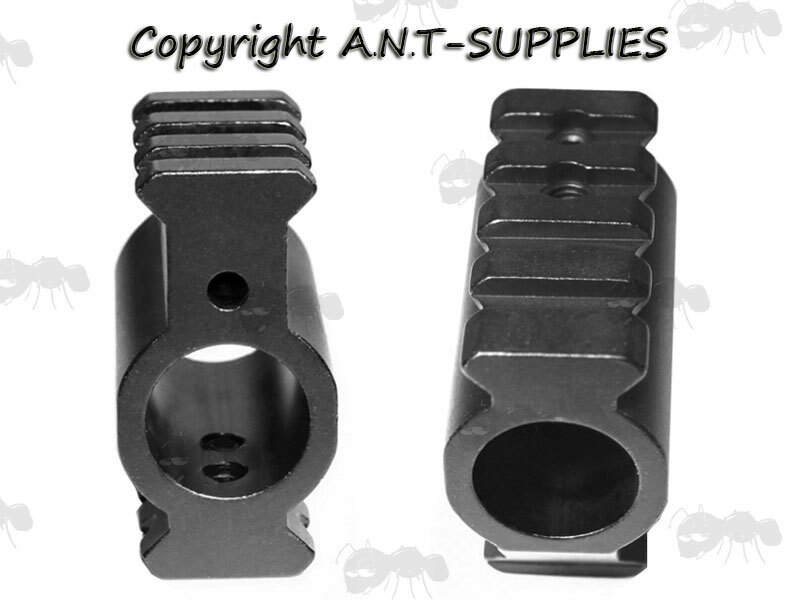 Top picatinny rail for additional laser and flashlight quick-detach. 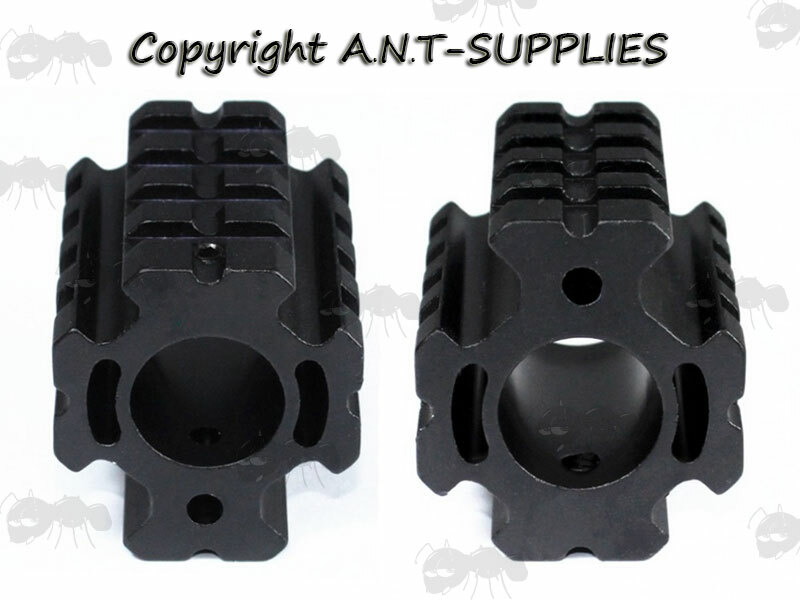 Also available ~ Gas Blocks without Rails.